❓Should designers code… or should design tools code? This week, apart from the new Slack logo, the question arises once again with the following news: Framer acquire an animation library called ‘Popmotion’. Framer acquire an animation library called ‘Popmotion’ to bring production-ready motion to prototypes, that can also be output to developers. Shots launched, helping us turn designs into code with just a click. 👀Check it out, along with 7 other tools in section 2 below. 📖 Be sure to bookmark some great reads from first section too, including insights into the interview process at Facebook Design, NASA, and Amazon. If you’d like to contribute, or have any questions, feel free to reply to this email. 2. How I received internship offers from NASA and Amazon as a UX Designer. Top picks from the Prototypr toolbox this week. Find this year’s top conferences with Design Conferences 2019. 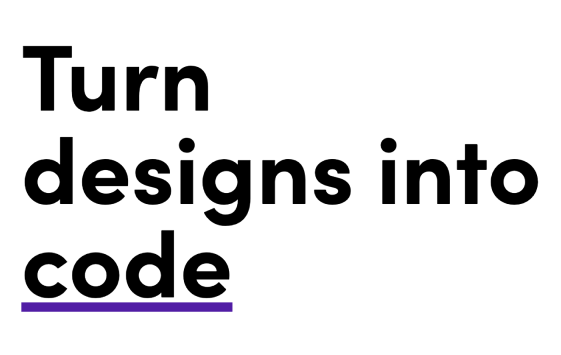 Turn designs into code in just one click! Get perfect Material Design color palettes from any hex color. Create, capture, and animate 3D mockups for your digital designs in a matter of seconds. A drawing app right inside Chrome, without having to download any programs. Create a logomark with minimal effort through the use of Google Fonts. Blendy helps you rapidly test out CSS Background blend modes with images. Catch us on social media for daily news 😃.